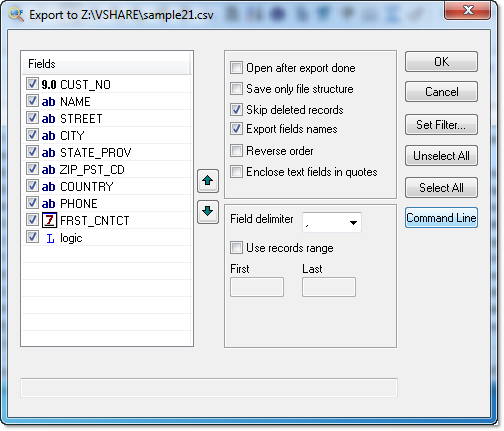 To export a dbf file to CSV format, open File | Save as/Export menu, and select file type: CSV. Export to dialog box opens. Select the fields to be exported and specify their order using up and down arrows. You can select also field delimiter: comma, semicolon, tab, space or enter other delimiter.